These five books have helped me with everything from personal finance to life motivation. They have either helped me get over my insecurities, OR propelled me to step out of my comfort zone and make some amazing things happen in my life. >>Note for Success: I use the Audible App to listen to my audiobooks! First of all, I absolutely adore Lara Casey (aka creator of The Powersheets) and everything she does! Lara holds your hand through surrendering your fears and making it whatever your “it” is, happen! For me, this book was the push I needed to move into our rent house. I wanted to be free from our huge 3,200 sq ft, but I was worried + anxious about making such a huge leap. 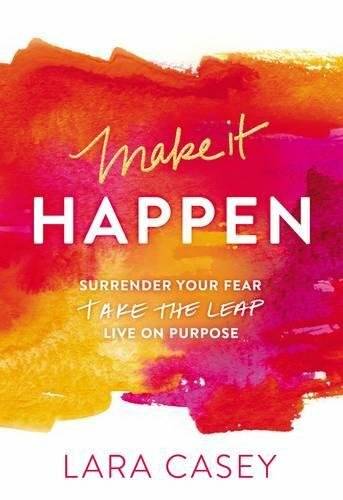 Make It Happen gave me the courage to jump with faith into a new season. >> Listen to How The Powersheets can help you on your Debt-Free Journey! Oh Jen Sincero, where do I start with her? I love her like a crazy aunt that I’ve only met once…yes, I met her at a book signing in Austin, TX in 2017! Jen is that unapologetic voice in the back of my head when I’m making any major life decision. I’ve listened to the audio version of this book more times than I can count, and you can spot my autographed paperback copy in the background of most of my videos. This book is the book that inspired/motivated me to start my website…so life-altering to say the least! And please don’t come at if you’re offended by the language…I mean, take a hint from the title, if that offends you then this book is probably not for you. My girl Rach has two of the top selling books + two of the top rated podcasts in the country…I could mic drop right there and that’d be enough reason for you to read this book. Seriously though, I was hesitant to read the #1 book of 2018, I rolled my eyes at all of these women who were reading this book that I thought would be too mushy/cheesy/girly for my taste. 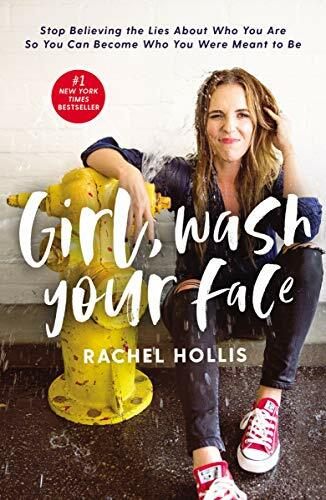 I didn’t know anything about Rachel Hollis until I listened to an interview she did on The Amber Lilyestrom Show Podcast, and yall, it was divine timing! My anxiety was at its worst point. I was physically + mentally suffering in silence every single day and I didn’t know what to do. This book probably saved my life, and I’m not even exaggerating. Rachel, a New York Times Best-Selling Author, was admitting to the world that she struggled with depression + anxiety and that she needed counseling to get through it. I was in a counselor’s office a month later getting the help I needed with my mental health! >> Hear more about mental health + “How To Stay Sunny” on the podcast! Let’s talk about a classic in the self-help world! Sooo many people had recommended this book to me that I knew I had to listen to it. 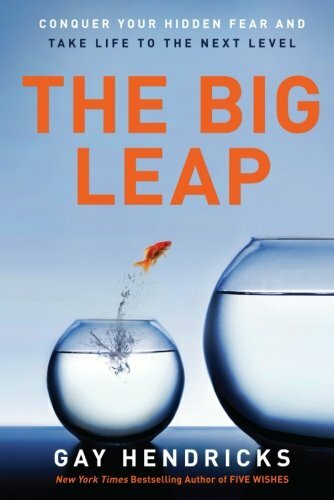 The Big Leap was all about breaking down those walls that we put up between our present and the future that we desire. 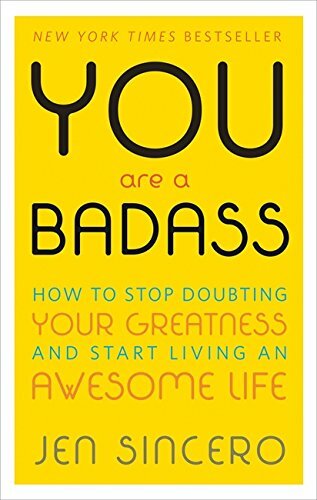 This book taught me about how we subconsciously let our fears limit us and it helped me identify some ways to achieve a higher level of success than I had originally thought was possible. 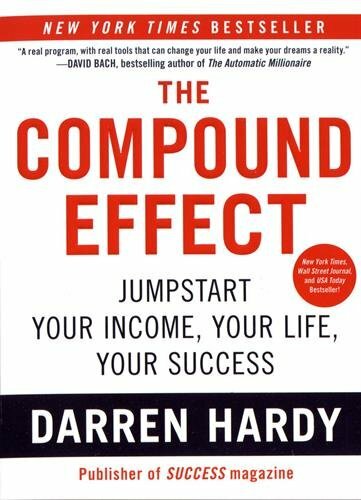 Another classic in the self-help genre, I knew The Compound Effect would be a must read for me! I listened to the entire audio version over a weekend at my mother-in-law’s house. This book was all about how success multiplies to creates more success. Just like what compound interest does for your money, success can do this for your entire life. Like I said in Episode 12 of A Sunny Side Up Life Podcast, the way you do one thing is the way you do everything! Darren Hardy challenges you to take a look at every aspect of your life to see where you can make improves and catch that contagious momentum that success creates. It was definitely an eye opener and super helpful to the financial, personal, + entrepreneurial sides of my life.